Mount Juliet is located in Thomas Town, which is on the Dublin -Waterford Road. We held the ' AIB Irish Seniors Open 1999', and the winner was Mr. John Morgan. We will be hosting the Irish National Putting Championships in September 2000. 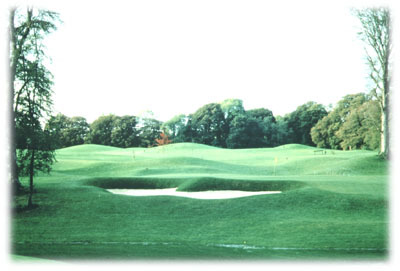 Our sister golf course, Fota Island Golf club will be hosting the Irish Open for 2001& 2002. Other recreational facilities include; Equestrian centre; archery, clay target shooting, fishing, spa and leisure centre, putting course. M7 from Dublin, then M9 towards Waterford, arrive at club on N9 via Carlow/Gowran;From West Coast,Durrow N77;From Cork/Limerick/Kerry via Clonmel N24/N26;From Wexford/Rosslare via New Ross, N25. Some very fine rounds of golf have been played over the hallowed turf at Mount Juliet. Most Notable were course record :63 - R Allenby (Australia). During the Pro Am in 1995, Greg Norman shot 64 during the Irish Open. The previous year, Nick Faldo scored a fine 64 also. These indeed were very fine rounds considering the complex layout of the course. Another interesting statistic about Mount Juliet is the fact that water comes into play on 9 holes. There are 73 bunkers strategically placed through out the course. For a further appreciation of the course please see golfer reviews. I played here a few days ago. The course was in amazing condition, greens a bit discoloured after the frosts but none the less running smooth and true. 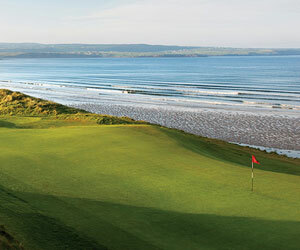 I heard today that they were voted the best parkland course in Ireland which they won last year also. Well deserved. I play here at least 3 times a year and always my favourite course ... don't let my club hear me talking! Mount Juliet is the best parkland golf course in Ireland - thats not just my judgement but that of Golf World Magazine and also Backspin Golf Magazine. Mount Juliet is an amazing course with so much to offer. Francis in the Golf Shop will always ensure you have a great day's golfing.